Legend has it that after burning Lanka with his tail, Hanuman, the money god, visited this place to extinguish the fire and cool himself down a stream of icy cold water originating from the mountains, which was called Hanuman Dhara. 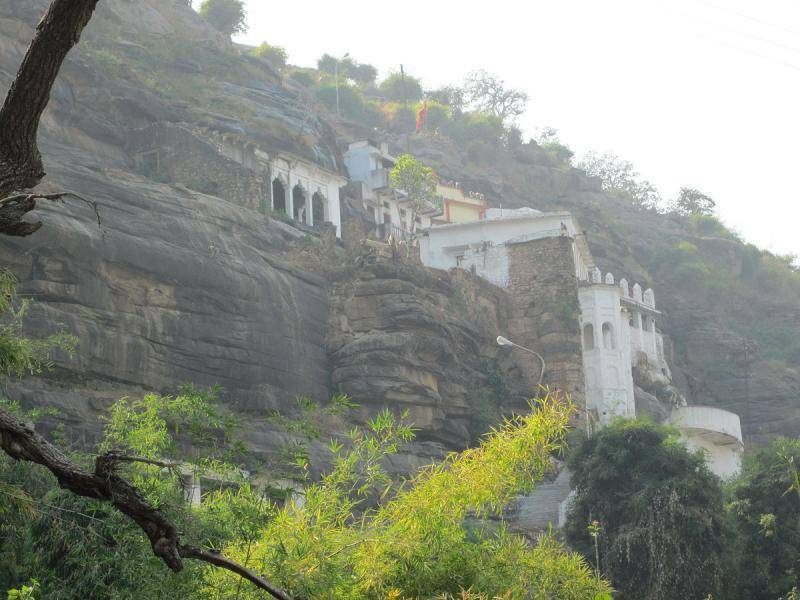 Located at the beginning of the Vindhyas, it is 4km from Ram Ghat. One has to climb over 350 steps to the see the Idol of the warrior god under a stream of clear water. The stream then loses itself in an old kund below, which never dries. It’s a must visit place for all devotees as well as those interested in mythology. Surrounded by mountains and greenery, it’s a picturesque spot for all nature lovers.